Home / Posts taggedgoogle webmaster for seo"
Google webmaster tool is used by the webmasters to check their websites indexing and optimizing the quality of their websites. From May 20, 2015 onwards the Google Webmasters tool is known as Google Search Console. It is a free service provided by google. It has a great role to maintain a website. Before you studying about webmasters please go through Search Engine Optimization Basic Facts For a search engine optimization techniques google webmaster will be a great support for the webmasters. We should also be aware about the Basic Difference Between Google Aanalytics and Google Webmaster Tool. 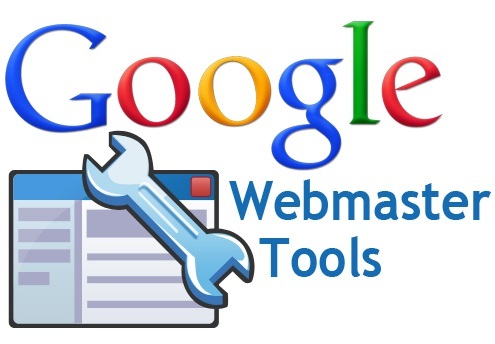 Through Google Webmaster Tools Guidelines for SEO the users who are new to webmasters tools will get a idea to use the tools. Tips to improve site performance through google webmasters. •Sign into google search console using google account. Add Site in available space. e should verify both the www and non www version of our site and fix one of the site and add redirect option for other site. •There are certified website are available like https://www.example.com. In https version there will be to and fro communication that means if we open a site and for a longer time we doesn’t make any interaction there will not be any cookies are tracking. So in google side google may think of the user is spending more time in this site and google think the site is quality one. But in http version there is only one way communication. Select one of the site that to be appear in google search result as www or non www version. Set your geographic feature of your site as users target. Submit a site map for our websites will be more easier to google to crawl our websites. Google has more capacity to read XML files. Structured Data – We Can Verify Through Structured Data Testing Tool. We can verify whether the breadcrumb is valid or not. Authorship optimization, rich snippet are all structured data. We can see in moz.com, while we entered to moz site we can see another search area inside the site. This is one of the structured data. Data Highlighter – Highlighted version of data are visible. We can see under our site where events are arranged as highlighted. HTML Improvements – The main errors occuring in HTML improvements are meta description and title. We should write different meta description and title for our different pages. Site Links– They are generated automatically under our site during search results. Search Analytics – Through this we get a idea about total number of clicks, CTR rate, impressions, from which all devices, countries got click for site, search type, position etc for our site. Links to your site – It shows number of links to our site. Internal Links – It shows internal links of our site. Manual Actions – It shows the manual actions given by goggle while we do any actions against the Google policy. Manually punishing through goggle updation. Country settings – In this we are setting the country for which we need to get more visibility. We can set it also globally. If Search result will be more then listing will be difficult. If the search result is less then listing will be easier. So choose keyword with less search result in selecting country. If we are focusing main country, try to give address on meta description. Language –If we need to publish our site in different language use hreflang tag also while google translation there won’t be detect any content duplication. Try to add href lang tag on sitemap also. Mobile Visibility – Making our site which are available in mobile search. Index Status – Showing the index status of our site URL. Content Keyword– We can see list of keywords that has more visibility. Blocked Resources – Blocking our pages from google bots that doesn’t need any crawling. Remove URLs– Removing of URLs is done through two options are from catching and from directory. Crawl Errors– In this the google webmasters tool will list the crawl errors for sites. Inorder to avoid crawl errors try to give redirection to any of the valid pages in site. If the not found page has more authority we can redirect that page to home page. So the authority can be achieve by home page. The types of redirection are 301 permanent redirection and 302 temporary redirection. 302 can be given to the pages which we stop services for a period of time. Different editing methods are FTP, CPanel , CMS. Crawl Status – In this we can see the google bots activities like pages crawled per day, kilobytes downloaded per day, time spent for downloading. Fetch as Google – In this we are fetching our URL for crawling and submitted to index. Robots.txt Tester – In this we can restrict the google bots from crawling the certain pages. xml sitemap extension is more friendly to google. Html extension file is user friendly. We can add feed burner through ror.xml. We can test our sitemap whether it is valid or not. URL parameter – In Google webmasters tool there are different ways to perform url parameters. For example, in word press we are adding perma or permanent link to our domain like domain.com/permalink when we get traffic from other sites like twitter, face book etc there will be a additional lines. Example domain.com/permalink?utm_source=twitter this is useful in analytics to know from where our site get traffic. In this the google webmaster tool will send message if any security issues or a malware are present for our site. It includes the tools that links outside to google webmaters tools, those who are interested more in google webmaters tools can test their implementations over there. • Structured Data Testing Tool – Through this we can validate our structured data like rich snippet, authorship optimization etc. •Structured Data Markup Helper – It helps you to test through markup Tester. •Email Mark Up Tester – Testing Structured data through email markup tester. •Google Merchant Center –In this we can upload our product details and make available through google products. •Page Speed Insight – Through this we can make our page faster. •Custom Search – Provide customized search for our website. •Google Domains – Build domain names with google domains. •Webmaster Academy – It brings you to create website with rich contents and helps to list in search results.